Perhaps initially not the most obvious comparison but thinking a little deeper draws you to the conclusion that these two driver focused M cars are actually pretty similar. 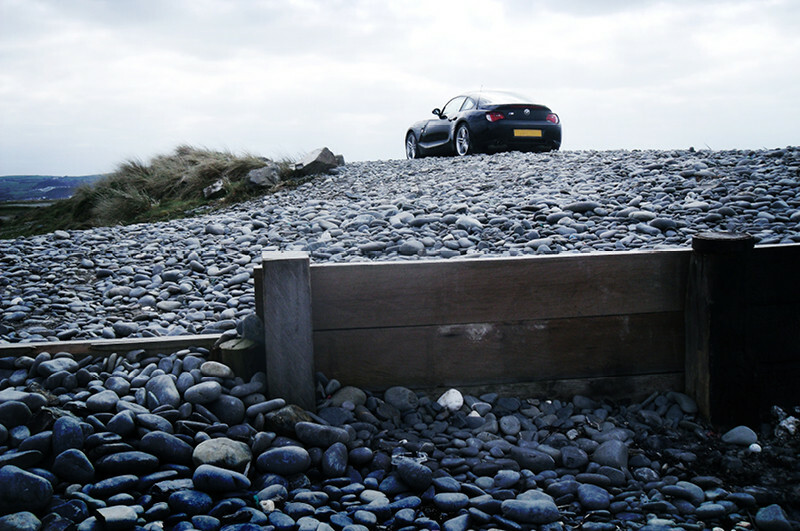 Having come out of a long-term relationship with a Sapphire Black Z4 M Coupe to allow me into a Sapphire Black 1M (OK we like black) we feel well placed to share the ownership experience. Let’s clear the obvious differences first. Two extra seats and an evolved now turbo-charged power plant. The only consistent thing in life is change so the introduction of forged induction doesn’t register as an issue for me. And as for the extra two seats, let’s just put them aside for now. After that we’re left with a mass of comparable scenarios. First off being the driver focused strategy BMW have employed – both only available with a manual 6-speed box, both reaching 60 in around the 5 second mark. Both short wheel based and highly sprung with go-kart characteristics. 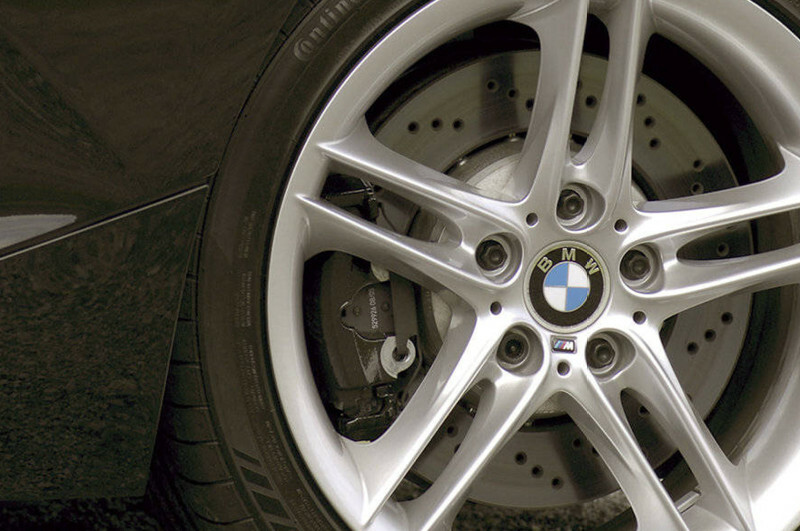 While on the performance side of things, BMW’s stats are always conservative. 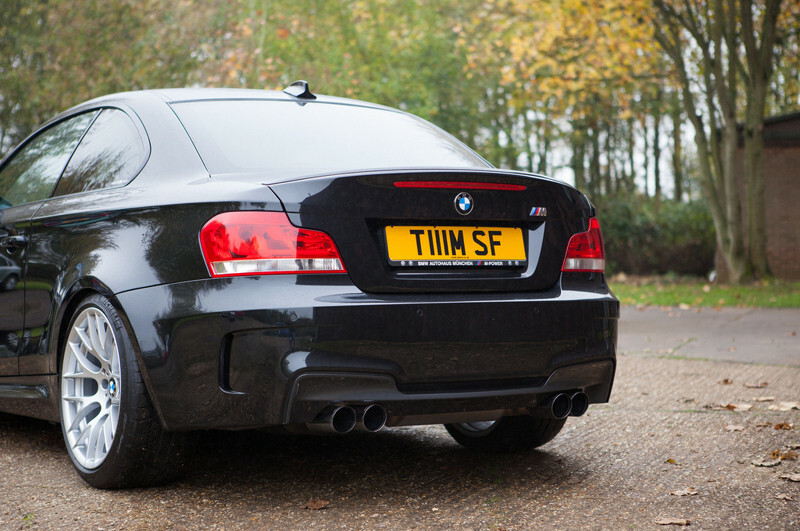 Anyone who’s ever driven either of these nimble M’s will testify the bum in seat test exceeds the above figures. I recall racing a 2007 manual R8 in my Z4 M which Audi claim has a 0-60 time of 4.5 seconds and there being nothing in it. Although to concede the little Z did run out of breath shortly afterwards. The DSC is also more intrusive than you’d expect. Resulting in the electronics cutting the power too soon or unnecessarily over bumps. 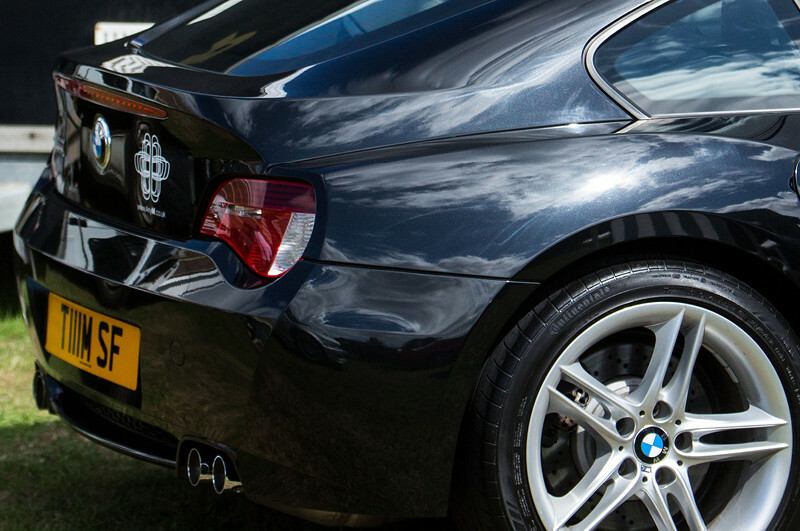 Stopping power is provided by a CSL sourced brake set up which is testament to how quick this little thing is. Every new M Car brings a slightly more electronic feel that can only really be identified by driving new and old back to back. 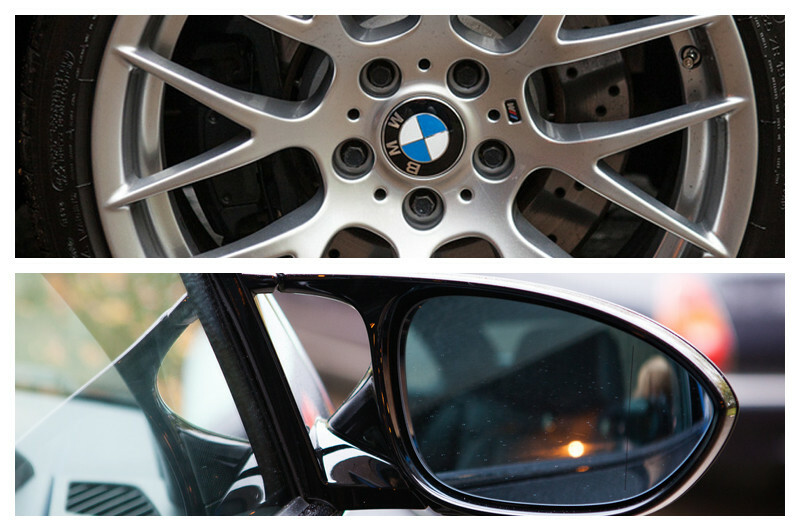 Even though BMW focused on making a drivers car this evaluation is still apparent in the 1M. 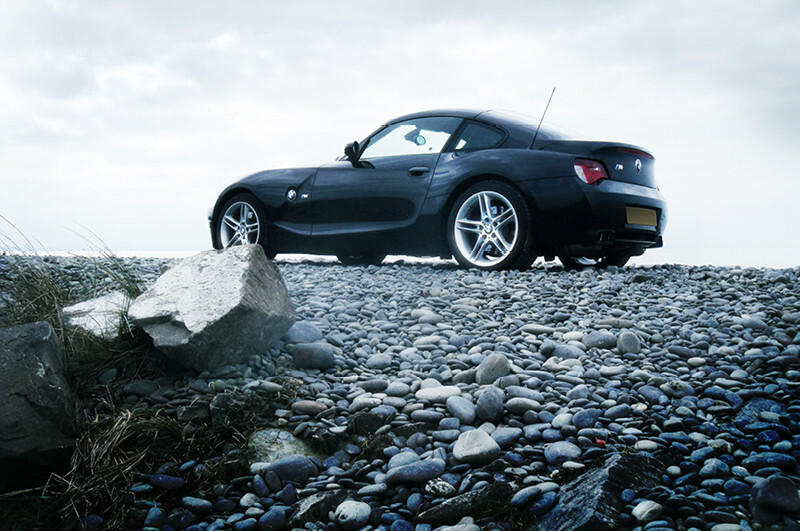 The Z4 M has a more raw feeling about it. 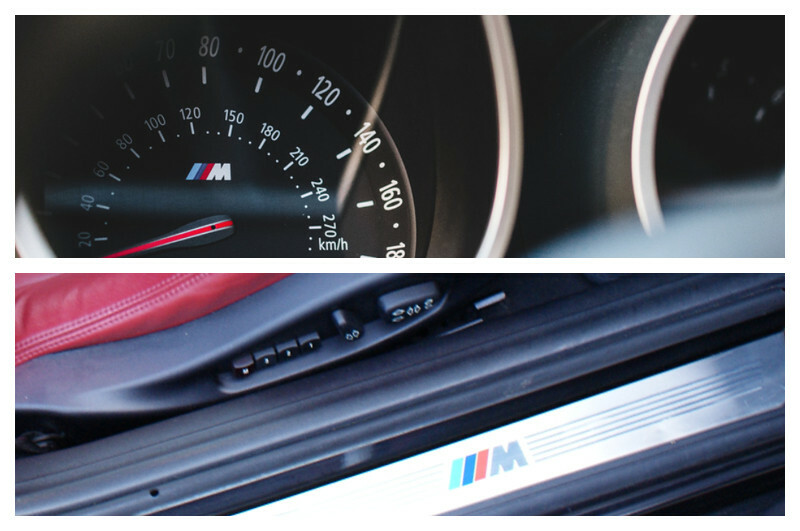 As you turn the key the S54 literally shakes you and the 3D look dials start to dance. You receive the classic rasp from the quad pipes, the clutch is heavy, the gear knob stubby with a short, tight throw. The steering wheel is chunky and everything is ergonomically cocooned around you – provided you’re not 6'5" that is! Out on the road the coupe like characteristics continue. You peer out over a long prancing nose sitting right back, almost over the rear wheels. Once warmed through things become more forgiving which urges you to push on. Everything but the clutch – catch the bite even slightly wrong and it leaves you bunny hopping off the lights. Or worst still, stalling the damn thing. 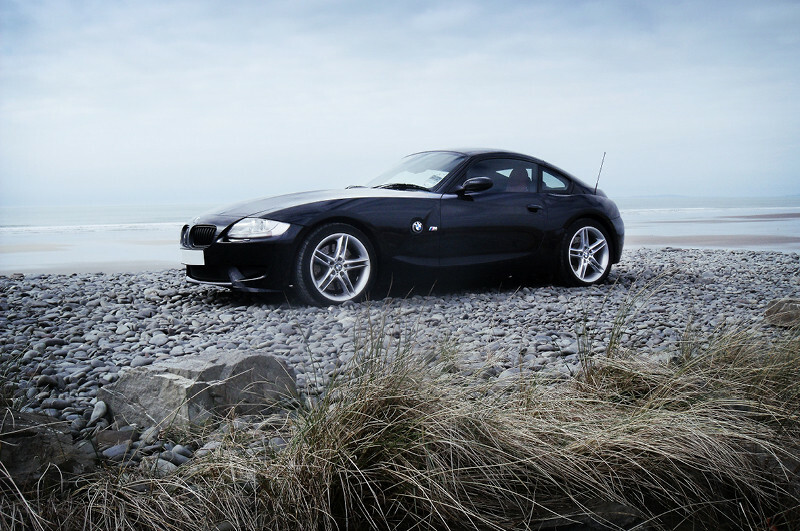 Z4 M one, street cred nil. Surprisingly I found myself enjoying the driving more without engaging sport mode. 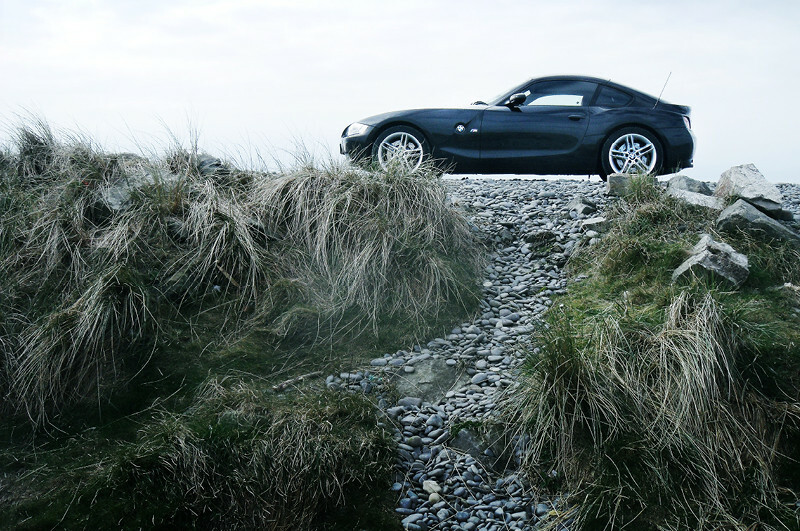 Although it makes a fair amount of difference performance wise it makes driving the car smoothly far more challenging. Coming off the throttle at speed for instance causes slight bunny hopping again and the occasional pop from the mid section. A few owners report a MAF sensor and throttle actuator updates cure this but I didn’t get around to solving it. Fuel consumption is S54 shaped, however the tank is that tiny your mates are going to leave you for dust on the annual Le Mans blast. Spec wise they’re fairly basic, nice touches being heated seats, privacy glass, HK Sound, Individual piano black dash etc. But the biggest and best was the automatically opening SATNAV/DVD screen and Bluetooth telephone. Although originally I didn’t look twice at one without a screen the tech behind it is so outdated now you’d get more satisfaction loading Chase HQ on the Spectrum. The randomly placed battery housing taking up 1/3 of the boot is a weird one too. Exterior wise it’s all about the rear and double bubble roof. 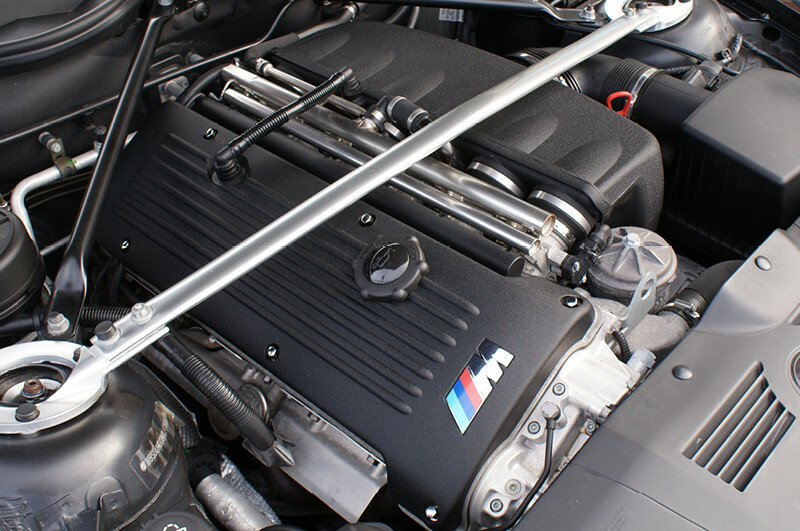 Wide chiseled hips evolved from it’s older sister with purposeful signature pipes which actually made their M Car debut on the Z3 M. The front end is a vast improvement on the Z3 but still doesn’t hit the mark and the most disappointing thing has to be the standard looking alloys. And that the lesser models such as the 3.0 had virtually the same bodywork. 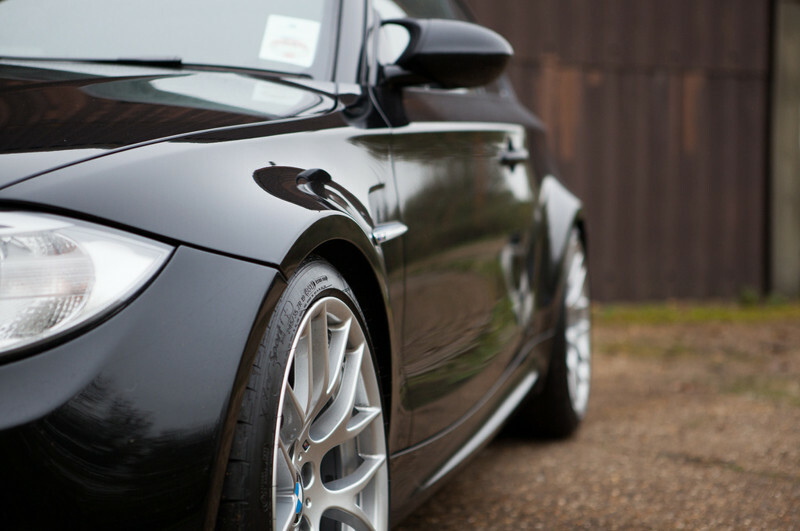 @BMW – surely CSLs should have been a factory option? 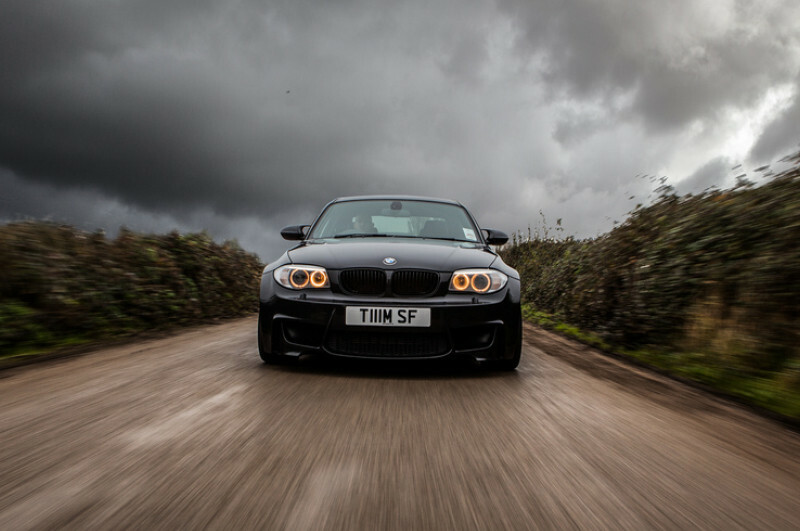 Three years later and after the slowest teaser campaign of all time the 1 Series M Coupe was finally revealed. Body wise it’s quite the opposite to the Z, almost every panel on the 1M is different to it’s humble siblings. Each being directly injected with E92 growth hormone forcing it over it’s shared running gear. 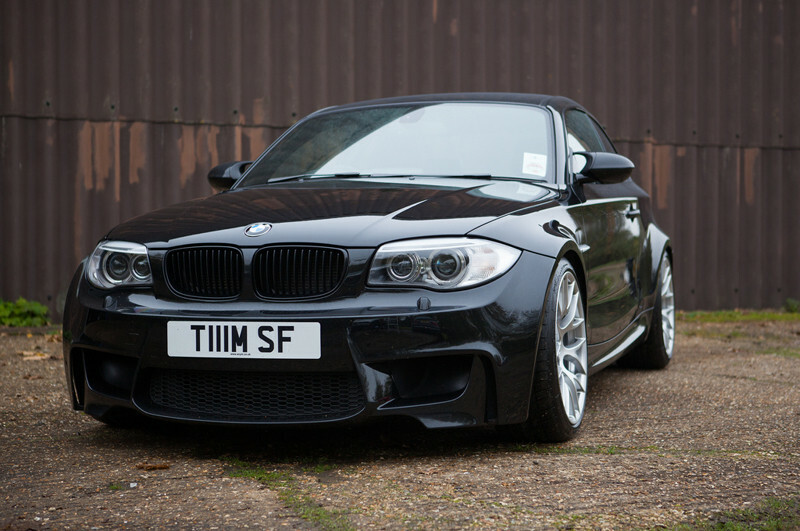 No weak looking front end here – the bumper looks like someone’s gone at a body builders shoulders with a scalpel! 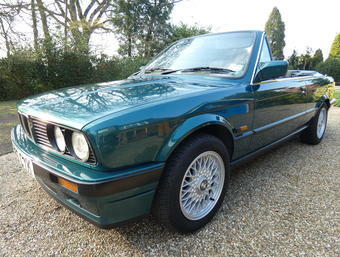 Presumably on a mission to save money it unfortunately missed out on a power dome style bonnet bulge which is a shame. Once you’ve got over the steroid fueled visuals (especially if you’re looking at a Valencia Orange example), it continues to excite. Perhaps not as much inside as the Z4 does but it still feels like you’re in something unique. 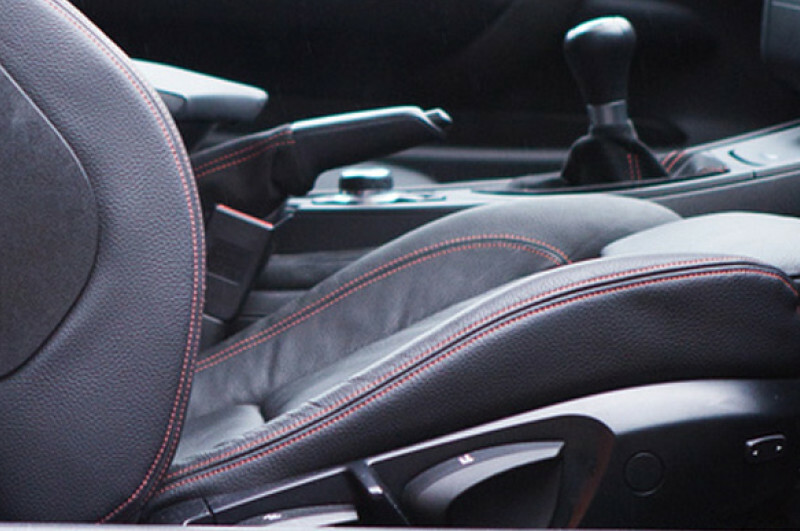 Flashes of lovely alcantara with orange stitching soften the fact that it has the same seats as a 118d M Sport. 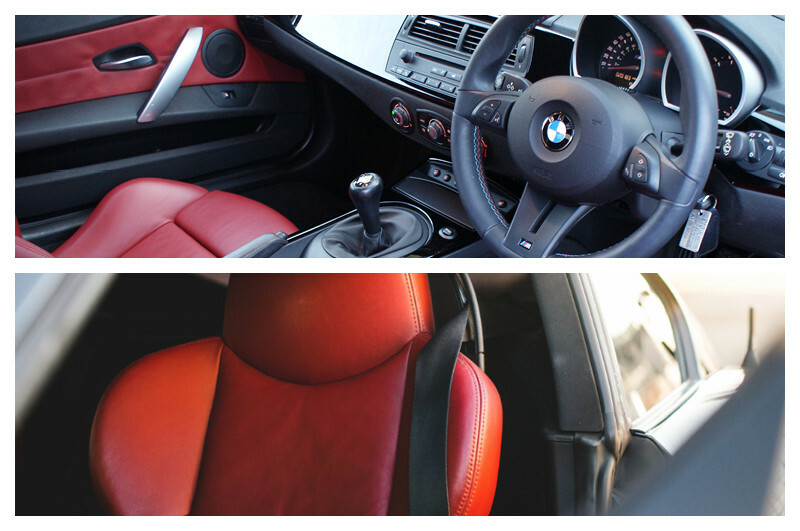 The best way I can compare the two here is you sit IN the Z4 M and you sit ON the 1M. Let’s call that 1 all. From here the magic starts with the button. The start button. The 1 bursts into life with a satisfying exhaust splutter. First and second gear are savage – you’re pinned to your seat. My god it’s quick. 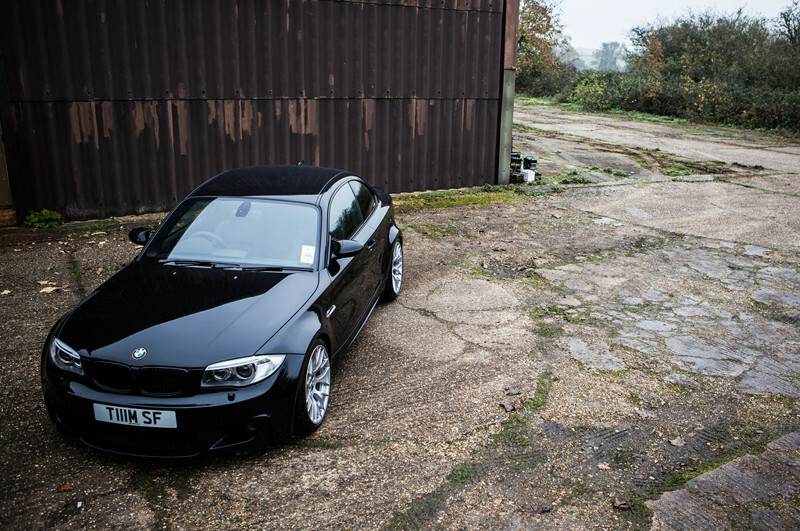 And if that wasn’t enough once floored you get an extra 50 ft lb torque to play with – that’s more than an E92 M3! 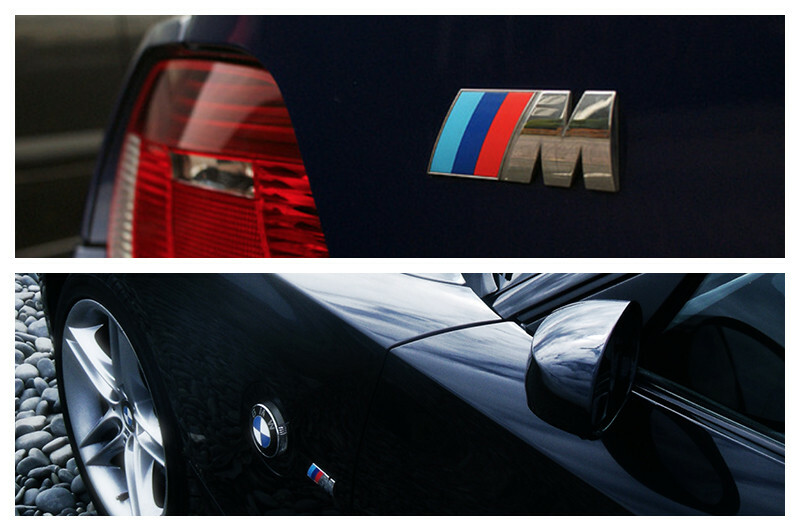 It’s the two best things you’ve always wanted, a turbo and a BMW. A straight-six twin turbo at that. Even around town this thing is an event – turbos spooling, closed loop style dump valve exhaling, exhaust popping. Not to mention the crisp entertainment system paired to your favorite playlist. The 1M comes standard with an M button so you don’t really need many more options but the varying levels of vanity in us says we do. 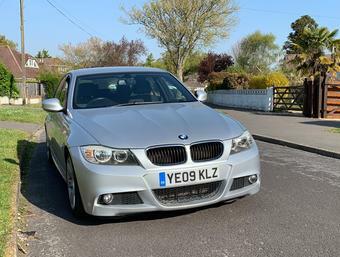 For me it was a stereo upgrade, iDrive/SATNAV (you can’t spend £40k+ on a new car and not have a big screen) Bluetooth, Privacy glass and a few others thrown in for good measure. I was disappointed to learn electric seats weren’t standard as they were on the Z. Oh and in an ideal world comfort access. Once you eventually get over the excitement of first and second gear you start to focus on trying to return some half decent MPGs. She comes in around the same as the Z – 22/3ish in real world conditions. The tank is virtually the same size as the Z at 53 verses 55 liters respectively so you’ll see each other at the same French fuel station. Price wise I think you’ll start to see the Z4 M Coupe start to climb surprisingly quickly over the next 5 years as people realise it was the last of the naturally aspirated ‘traditional’ M Cars. As for the 1M, it continues to defy all residual logic leaving the final test in the launch of the M2 later this year. However something tells me it won’t make a difference. The 1 Series Coupe is now a 2 Series so they’ll never be another 1M, they only made 450, not one car critic can muster a bad word about it and every time I even come close to thinking about selling it I just re-watch Clarkson’s Top Gear review and head straight back out in it! That’s 2-1 to the 1M. Ultimately I’m having to split hairs to choose a winner as both are stubby, light and agile little go-karts. You get the impression they gave the BMW marketing team a real headache with the result being slightly strangled straight-line performance. Eventually there’s no denying that the newer car is the more complete package. 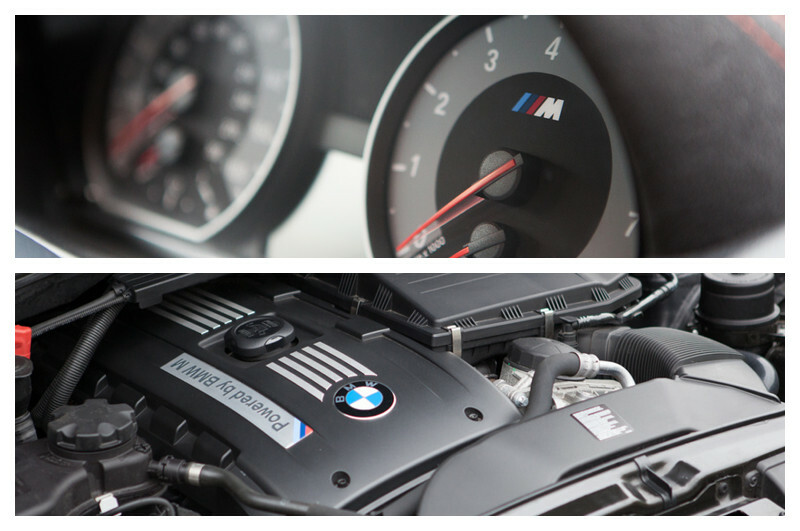 The 1M is BMW ensuring their first proper turbo powered M Car entered the world with a bang – and my goodness did they succeed. So, in principle the driving dynamics are very similar. 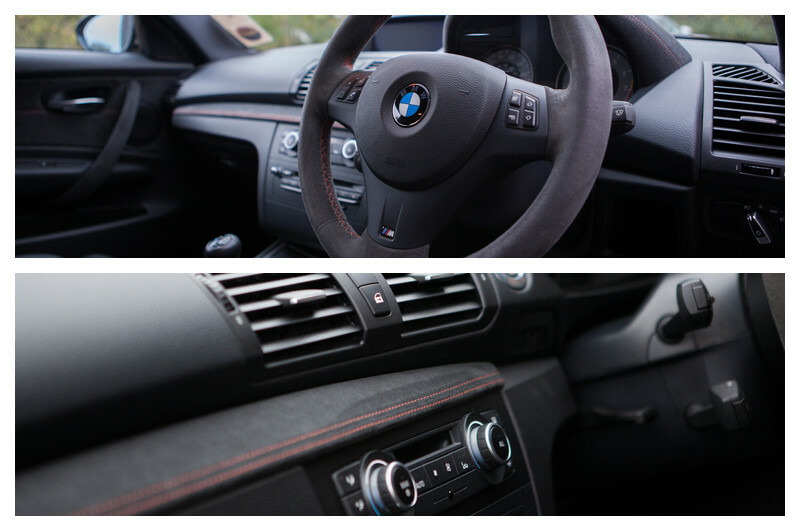 The Z4 wins the interior battle simply for that driving position but the 1M outguns it in every other aspect. Aesthetics, performance, tech, ownership satisfaction and even residuals. Buying advice? If you’re up for the investment buy a 1M tomorrow. 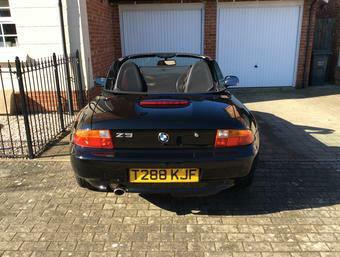 If however you’re looking for a more frugal approach to a modern classic then jump into a Z4 M. You’ll get 80% of the car for half the money. And I’d bet if you buy well now, in 5 years time you’ll be better off than leaving it in your savings account.